Can Rats Eat Grapes? Plus 25 More Foods Classified! Disclaimer: This is not an exhaustive list of foods that rats can and can’t eat. Our dedicated nutrition section has a host of other articles about food and rats such as ‘Can Rats Eat Chocolate‘. If you’re unsure if your rat can eat something feel free to get in touch with us, or if you think your rat has eaten something it shouldn’t have then call your vet. If you have any comments or would simply like to debate the pros and cons of these foods then feel free to let us know in the comments! We'll get into the specifics of each food below, but first here's a useful infographic cheat sheet we've put together for the foods in this post! 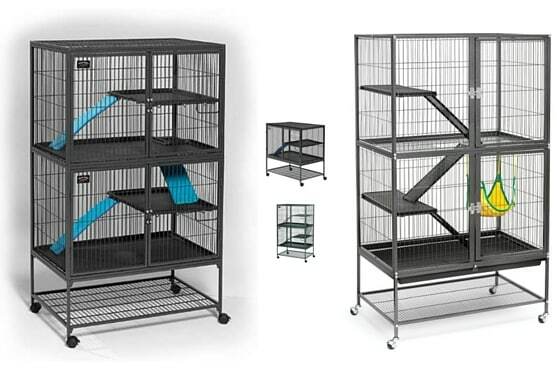 Please include attribution to https://www.ratcentral.com/ with this graphic. CAN RATS EAT GRAPES? SURE! Grapes are generally fine for rats and can actually be very healthy, with the purple variety in particular having many reported anti-carcinogenic effects. That being said excessive consumption of grapes isn’t good for rats as, with all fruit-type foods, they can be high in sugar and cause diarrhea. 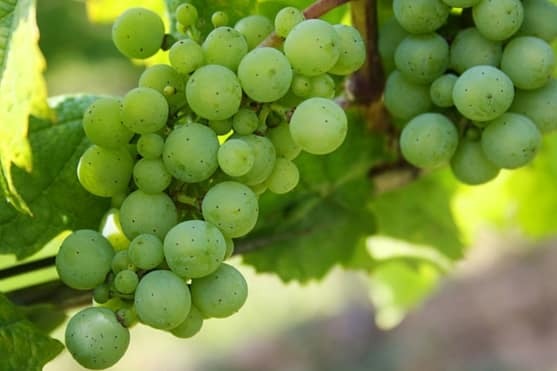 Additionally the seeds in grapes provide no real nutritional benefit, while they’re not bad for rats it might be better to opt for the seedless variety when possible. Our rats don’t actually eat the skin on grapes, but they could pose a choking hazard, so it’s better to remove the skin yourself which you can do by cutting the grape in half and then peeling away the skin. CAN RATS EAT BANANAS? SURE! Bananas are one of our rats favorite treats and they are more than fine to give to your rats so long as they’re ripe. 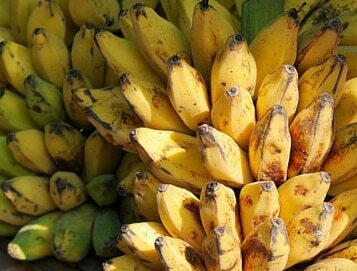 You can’t give rats unripe or ‘green’ bananas as they inhibit the digestion of starch. You can give rats either dried bananas (often come as banana chips) which are our rats favorite, or normal fresh bananas. Bananas are high in potassium and they’re a great low-GI food however they can be fattening for rats, so it’s better to simply give them a little bit no more than once a week as a treat. It’s important to remember that they can cause constipation in higher quantities and aren’t recommended for rats undergoing antibiotic treatment. CAN RATS EAT TOMATOES? SURE! 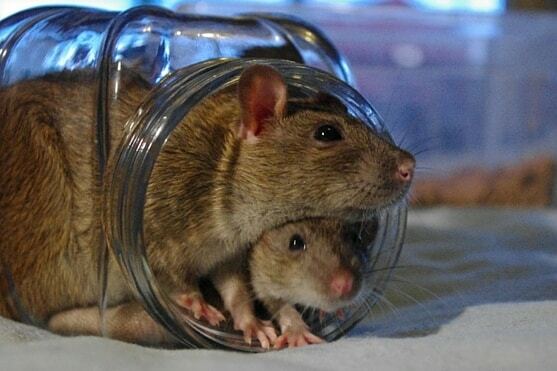 In France tomatoes are referred to as pomme d’amour ‘love apple’ which is fitting as our rats love tomato. Not to mention that tomatoes are actually very good for the heart. Tomatoes are fine for rats and are actually very healthy, they’re high in vitamin-c and contain 5 flavonols and flavonones (naturally occurring anti-oxidants) combined. As tomatoes are a fruit they can cause diarrhea in certain rats or in too high of a quantity, it’s best in our opinion to let them have the smaller cherry tomato variety and to offset potential choking hazards of the skin, you can follow the same trick we described in the section about grapes. CAN RATS EAT CARROTS? SURE! Carrots are brilliant for rats for several key reasons… One example of this is that they’re very hard and therefore great for rats teeth. 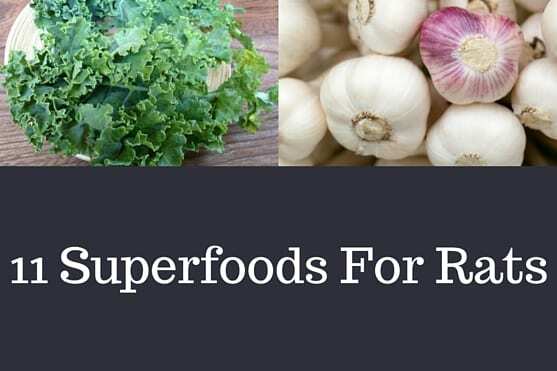 Carrots are also low in sugar and not too watery so, unlike some of the fruit on this list, you can afford to give rats considerably more of this food without risking diarrhea issues. Since carrots are high in fiber they are considered a good way to help rats with megacolon and to help prevent it. One side note of caution is that carrots can contain a lot of pesticides, so go organic if you can and if not be sure to thoroughly wash your carrots before giving them to your rats. CAN RATS EAT GREEN BEANS? SURE! Green beans are a good source of vitamins and fibre for rats. They’re low in sugars and this makes them a good treat for rats with slow metabolisms especially. There’s some debate about whether to cook green beans first or whether to feed them raw. We prefer to proceed with caution with any food for our rats, so we cook them just to be on the safe side. This is because there is some evidence that raw green beans can cause stomach upset in rats, with some even going so far as to say they can be mildly toxic when uncooked. CAN RATS EAT BLUEBERRIES? SURE! Blueberries are a fantastic food for rats, the seeds aren’t damaging to them in any way and they’re packed full of amazing nutrients and minerals that have varying health properties such as anti-cancer effects. This is why we’ve named blueberries as one of our superfoods for rats. CAN RATS EAT CHEESE? IN MODERATION. Rats can actually eat cheese, or at least certain varieties of it which you can see the list of in the link, and it’s a treat that can really make rats excited. This is most likely because cheese is high in fat, which isn’t good for them when fed regularly. Rats should only be given cheese in moderation to prevent issues such as obesity and high-cholesterol. CAN RATS EAT GARLIC? IN MODERATION. A lot of rats dont like garlic, however it’s amazing for rats offering immune system boosting effects with it’s antibiotic properties. They help prevent cancers and keep parasites at bay (maybe this is where the vampiric thing comes from? ), but they must be given in moderation as it can inhibit clotting of blood. This is especially important information if your rat is due for surgery or has just recently come out of surgery. CAN RATS EAT KIWIS? IN MODERATION. Kiwis are a good food for rats because they’re a rich source of vitamin-c, with more than the amount found in an equivalent sized orange. While most rats avoid the skin in favor of the flesh of the fruit, you should make an effort to remove it yourself first as it’s poisonous to most rodents including rats. As it’s a fruit and a very watery one it should only be given in moderation and as a treat as it can cause diarrhea or watery-stools. CAN RATS EAT STRAWBERRIES? IN MODERATION. Strawberries are a sugary treat that most rats can’t resist. Packed with anti-oxidants they’ve recently been ranked 27th among U.S. Foods for the best anti-oxidant effects, due to having high amounts of vitamin-c and other vitamins, nutrients and minerals. However, strawberries can be quite fattening due to their sugar content. Additionally there is a risk of pesticides, so go organic if you can and wash them thoroughly. Some rat owners have reported digestive issues with large quantities of strawberries so for all these reasons it’s a food that’s best left for moderation. CAN RATS EAT PEARS? IN MODERATION. While pears have some great properties in terms of health they’re a food that’s best given in moderation, this is mostly due to the high sugar content and the watery nature of the fruit itself. If you want to give your rats pears then you’ll need to remove all the seeds and stems as these are potentially hazardous, and the skin should be peeled ideally, as it can pose a choking hazard. While rats do seem to enjoy pears it might be easier to just avoid them since there’s so much preparation involved. However, if you really want to give pears to your rats you can so long as you follow the steps above and remember, moderation and portion size is key. CAN RATS EAT BOILED EGGS? IN MODERATION. Rats can eat boiled eggs, even with the shell on. This is because the shell is good for their teeth and it’s a good source of calcium. Unlike people, rats can have the shell because they can chew it up much more finely making it easy to digest. We personally give our rats a boiled egg, to share between three of them, no more than every month or so. 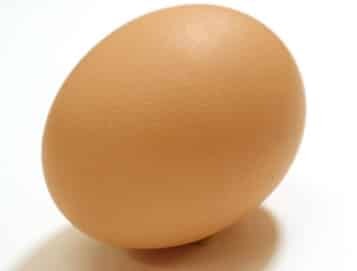 As such it goes without saying that boiled eggs are a food that should be given in moderation… This is due to the high fat and high protein content which can cause your rats to gain weight and excess protein can cause skin irritation in rats. These are a particularly good treat for pregnant or lactating rats, and baby rats as they require higher amounts of dietary protein. CAN RATS EAT ORANGE? NOT RECOMMENDED. Oranges can cause kidney damage and cancer in male rats due to the d-limonene, which causes a specific protein in the male rats kidneys to develop which can trigger the growth of a tumor. 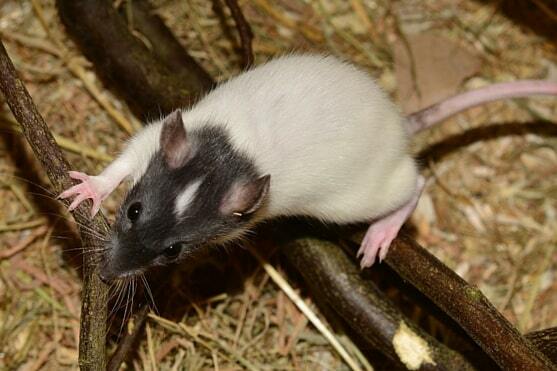 Female rats on the other hand don’t have this protein present in their kidneys. Additionally the white pith isn’t great for females as it can pose a choking hazard, as can the skin of the actual orange. Couple this with the fact that they’re very watery and there’s better sources of vitamin-c we don’t recommend oranges for rats. CAN RATS EAT GINGER? NOT RECOMMENDED. 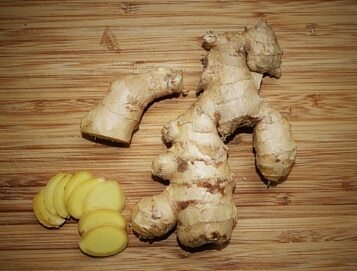 Ginger is safe from a toxicity standpoint, however it’s not the easiest of foods for rats to eat. It poses a challenge for most rats to chew due to it’s almost stringy nature as it’s broken down. CAN RATS EAT TOFU? NOT RECOMMENDED. Tofu isn’t a great food for rats as, nutritionally, it’s a bit redundant. It’s more of a protein replacement, and it’s severely lacking in that regard when it comes to a balanced amount of amino-acids. While it’s high in soy which is good for rats, it’s not as good as soy itself which again makes tofu a little redundant. Most rat foods contain soy itself. Unpackaged / raw bulk tofu should be actively avoided as it contains harmful bacteria. Packaged raw tofu doesn’t have this problem though. CAN RATS EAT MUSHROOMS? NOT RECOMMENDED. Due to the wide variety of mushrooms and the complications of this in terms of thorough studies being conducted, it’s hard to say whether all mushrooms are safe for rats. 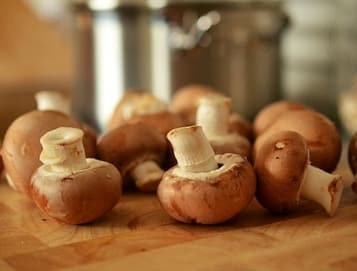 While some of the more basic varieties, when cooked, are known to be safe in the short-term it’s not certain what long-term effects of feeding mushrooms to rats are. If you want to give your rats mushrooms you should cook them first and ensure that you only buy store packed mushrooms that are of the regular variety. We don’t recommend other kinds of mushrooms such as shiitake or wild mushrooms. We’d be interested to hear what kinds of mushrooms you’ve fed your rats! CAN RATS EAT PEPPERS? NOT RECOMMENDED. Peppers aren’t recommended for rats due to the difficulty in quantifying their spice level, which can be very upsetting to their tummies. The seeds in peppers should also be avoided as it’s unclear whether these pose any long-term negative effects. CAN RATS EAT LEEK? NOT RECOMMENDED. Leeks aren’t recommended for rats since they’re very stringy and fibrous which poses a serious choking hazard. 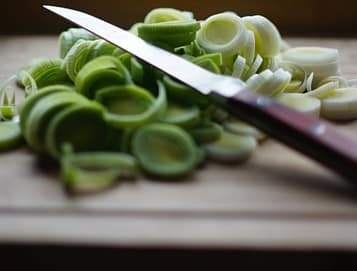 Generally speaking leek is very similar to onions in taste which are a much better option for rats (when cooked) and possess more health benefits as well. CAN RATS EAT JUNK FOOD? NOT RECOMMENDED. Junk foods as a broad spectrum from hamburgers to pizza aren’t recommended in rats just because they’re very fatty, salty and offer little nutritional value. This isn’t to say rats can’t eat any junk food, it’s just that it’s not recommended and if you do it should be very infrequent as it can cause stomach upset and diarrhea, while long term implications include heart disease, stroke and obesity. CAN RATS EAT LEMONS? NEVER! Lemons aren’t recommended since they’re a citrus fruit and, like oranges, can trigger kidney issues in male rats. They’re also very acidic and this isn’t great for males or females, so we don’t recommend ever giving your rats lemons as it can cause pH imbalances quite quickly as well as gastric issues from irritation. Since lemons are very sour most rats probably wouldn’t want anything to do with them anyway. CAN RATS EAT APPLE SEEDS? NEVER! Apple seeds contain cyanide and are toxic / poisonous to rats. If you feed your rats apples, which is fine, make sure to remove all seeds and even avoid the surrounding core of the apple. While levels of cyanide in apple seeds aren’t high enough to harm humans in rats that’s not the case as they’re so much smaller. 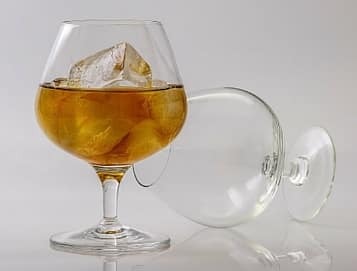 CAN RATS HAVE ALCOHOL? NEVER! We’re not sure what kind of person would ever want to give their rats alcohol, but just in case some wise guy gets a brilliant idea… Just no! Any alcohol of any kind is strictly not allowed for rats. It’s cruel. CAN RATS EAT MANGO? NEVER! Mango isn’t a great food for rats as it’s d-limonene levels are highly concentrated, which means that you’d be putting your male rats at a higher risk of cancer. Mango is also very high in sugar compared to other fruits. While this means rats tend to love it, it’s just not worth the risks such as cancer in males, obesity and diabetes in females (as well as males too). CAN RATS EAT RAW POTATO? NEVER! 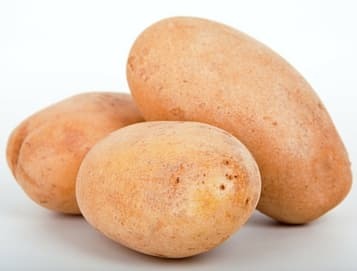 Raw sweet potatoes are toxic to rats due to compounds that convert to cyanide inside the rats stomach, while regular raw potato has concentrated alkaloids which can cause heart rhythm abnormalities, diarrhea and seizures among other things. This is particularly true if the raw potatoes are green. CAN RATS EAT CHILI? NEVER! Chili is extremely hot and as such is a gastric irritant to rats. It’s not a good idea to ever give your rats something this spicy as it could seriously upset their stomach and even burn their mouths, not to mention to risk of it getting into their eyes. Chilies are also high in sodium (salt) which is bad for heart health. We hope that you found this article interesting and we hope you learned something useful! While this is not an exhaustive list we’ve tried to include a lot of common foods we get asked about and we’ve given an explanation for our categorization of each. If you think we’ve missed something in our analysis of each of these foods let us know in the comments! Can rats eat avocado? Everything you need to know about food safety for rats!